Download here the latest version of Polaroid Snap Firmware Update. 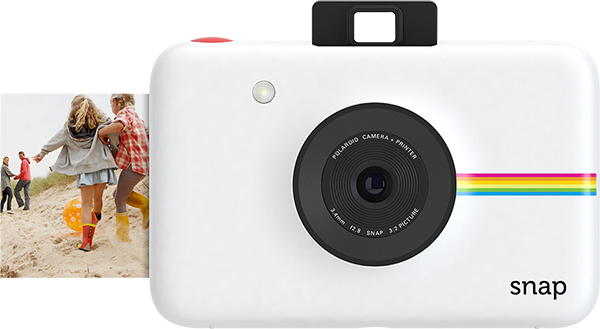 It comes with lot of updated and new features.If your were already looking to download Polaroid Snap Firmware Update then you have come to perfect place. Here in this post, we managed to share direct link to download firmware update package and short guide to help you understand flashing process. So, proceed below, download firmware and learn firmware installation for Polaroid Snap. Polaroid Snap Firmware Update is available to free download. You can download it using link we have provided on this page. Download package is very small in size. It is less than 2MB. It will be download instantly over good connections. To download and install this new firmware on your Polaroid camer follow the steps below. Download this polaroid_snap_fw_1.7.zip file to your computer and unzip it. Make sure you have an SD card inserted into your Polaroid Snap instant digital camera, and that your camera is turned on. Connect your camera to your computer. When your camera appears on your desktop, save the downloaded file to your Polaroid Snap. Turn your camera off, then back on, to restart and begin the update. While your firmware updates, the LED lights will turn red for 30 seconds. ... and then it will power off. Congratulations! you have successfully flashed firmware, Turn your camera back on again (close and open the viewfinder). Your new firmware will be up and running. 0 Comment "Polaroid Snap Firmware Update Latest Version Download"